"This illustrates that if we can learn to control and exploit the remarkable properties at the interfaces of quantum materials, this will likely result in a new generation of devices beyond our current imagination," said Marc Janoschek, a physicist at Los Alamos National Laboratory who, with David Fobes, also of Los Alamos, co-led the international research team making the discovery. Their findings were published today in Nature Physics. "However, because quantum materials are chemically much more complex compared to 'conventional' materials such as semiconductors, it remains a challenge to fabricate clean quantum material interfaces." Materials with properties characterized by the laws of quantum mechanics rather than classical mechanics often have features such as superconductivity. But extensive research has shown that at interfaces between two materials, the remarkable properties of quantum materials can be strongly enhanced or entirely new functional properties may arise. An example of the importance of material interfaces would be transistors, whose function is based on physical effects occurring at semiconductor interfaces artificially engineered via techniques such as lithography. Transistors form the foundation for the current generation of electronic devices. The complexity of quantum materials is often characterized by the competition of various interactions on the quantum level. "Here we showed that at the same time this complexity also provides a solution," said Fobes, who carried out his postdoctoral research under the supervision of Janoschek. Fobes and Janoschek led the international team of researchers that combined extensive neutron spectroscopy measurements from Oak Ridge National Laboratory's (ORNL) Spallation Neutron Source (SNS), National Institute of Standards and Technology's (NIST) Center for Neutron Research (NCNR), United Kingdom's Neutron and Muon Source (ISIS), and at the Munich Research Reactor II (FRM II) of the Heinz-Mayer-Leibnitz Zentrum in Germany with detailed theoretical modeling. 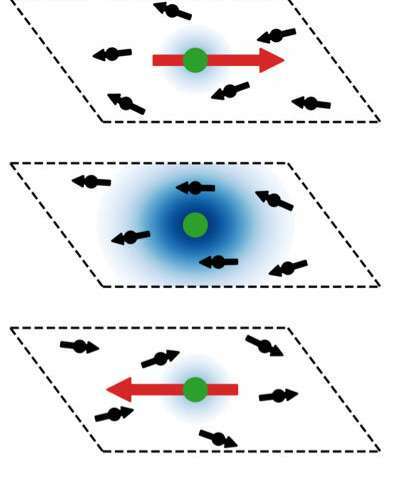 "Neutron spectroscopy measurements were crucial to demonstrating that in certain metals, the competition between various interactions may be resolved by the spontaneous formation of a state in which the electronic and magnetic properties alternate periodically," said Georg Ehlers, the ORNL scientist who performed spectroscopy measurements at SNS. This periodic arrangement leads to interfaces between alternating material layers that are akin to interfaces in engineered heterostructures. However, the spontaneously self-assembling interfaces identified in this study have major advantages; they are intrinsically clean, and relevant parameters such as the interface thickness can be tuned in-situ via external parameters such as magnetic field or temperature. 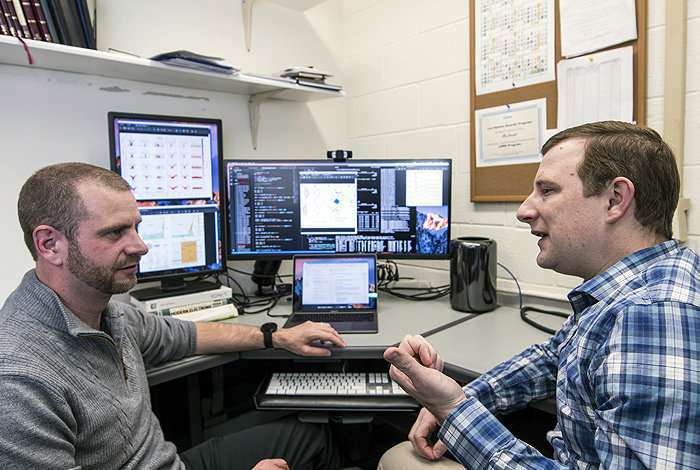 The basic ingredients identified by Fobes and the team are common to several classes of quantum materials and suggest that these intrinsic and tunable interfaces may be more frequent. Learning to control the self-assembly of such intrinsic quantum interfaces, in turn, has the potential to revolutionize device design, where devices are not fabricated but spontaneously form via quantum engineering of the underlying atomic-scale interactions. In addition, these devices could be tuned and reconfigured using external parameters, possibly allowing for the design of highly adaptive electronics. on the way towards 'organic' space ships like in Babylon 5 and the Vorlons. Alternately, we could be finally closing in on quantum computers. That would be an amazing stride forward.